A gabion (from the Italian word gabbione) - is a cage or mesh basket predominately filled with rocks for use in civil engineering, road and landscaping applications. What is a Rock Mattress? Rock Mattresses are a "thin" gabion and traditionally has been used in applications such as creek and channel linings where long term scour is an issue. The confinement of appropriately sized stone within a mesh effectively increases the resistance of such rock to scour for a given flow condition. Link™ Gabions and Mattresses provide a highly versatile solution of earth retention and erosion protection for designers and contractors in a wide variety of applications. Link™ gabions are typically used for earth retention structures. Link™ Mattresses are used in a wide variety of hydraulic structures. Link Gabion and Mattress products utilise the latest manufacturing and coating technologies available to produce a highly functional and durable product that Engineers can incorporate into their designs with confidence. When used in a traditional manner, such as earth retention structures, Link Gabions may be designed as gravity structures where resisting forces are generated by the mass of rock infill within the Gabion product, which are laced together to form a monolithic structure. Link Gabion structures, when designed in such a manner, are most commonly used in cut situations. What is a welded mesh gabion? A welded gabion incorporates a more rigid welded mesh facing panel construction. 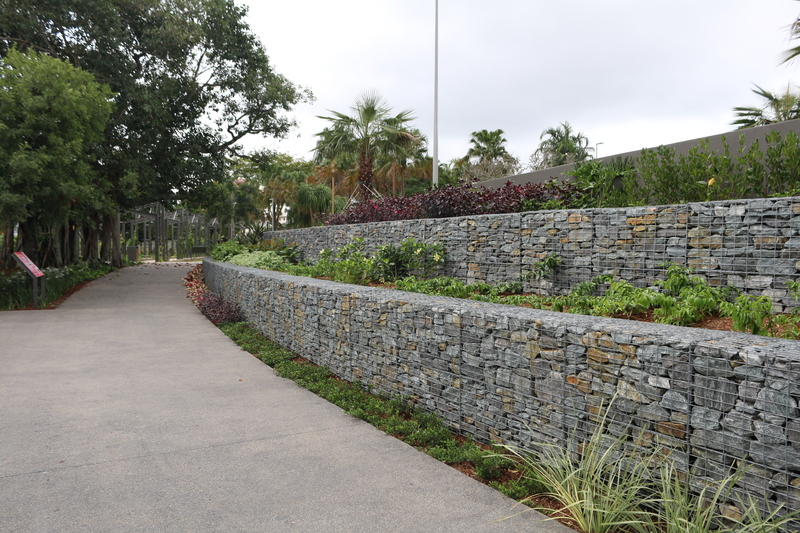 The benefits of a welded gabion are realised in land based retaining structures, feature wall cladding, sound walls, seating and other landscape features where the beauty of rock and the clean straight, architectural lines of the welded mesh panels are desirable. Mesh products also include Linkweld® welded gabions that look very attractive in landscape applications. These gabions are able to be constructed with very defined shapes and make a dramatic architectural statement as well as providing an engineering benefit. 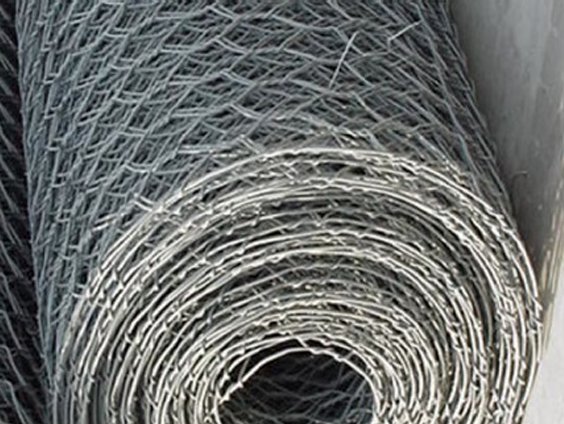 There are a multitude of hydraulic, retaining and architectural treatments that can benefit from a mesh solution provided by Global Synthetics. 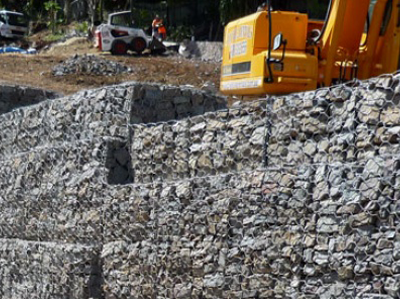 LINKWELD™ gabions can be used to construct large retaining structures. 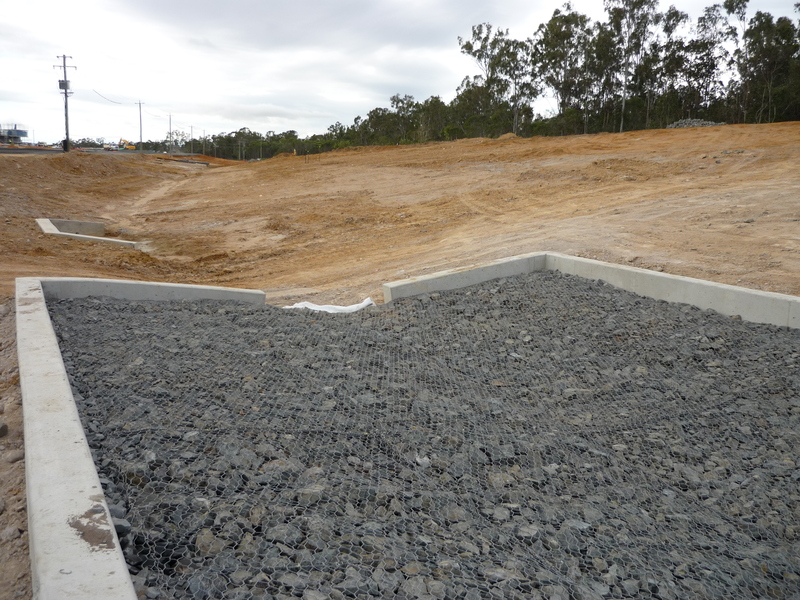 You should ensure that you seek the necessary statutory approvals to construct such structures when required. This will mean that you may need to engage a qualified engineer who is familiar with the design of such structures and who will assess site, soil and drainage considerations for your site. Design costs are a good investment in the life of your structure. LINKWELD™ gabions are supplied flat packed and are assembled on site using LINKWELD™ lacing wire or LINKWELD™ spiral joiners. 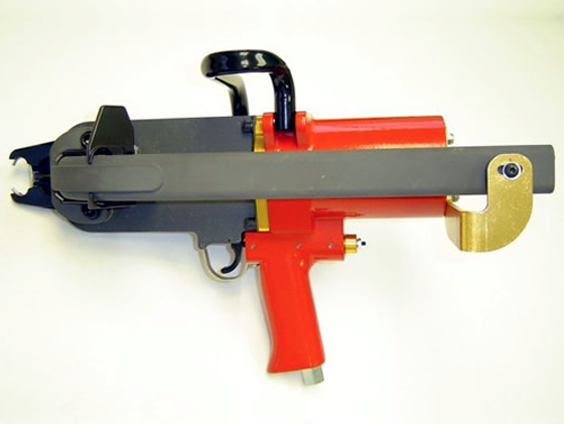 Sometimes if the project is significant in size, you may wish to use LINKWELD™ "C" rings and a pneumatic lacing tool sold by Global Synthetics.